Discover the city of Marrakech with our guided bike tours! What is more fun than discovering a city on bicycle? Like another nice Marakech excursion? Like going for one day to the High Atlas Mountains? Do you like to go for a mountainbike adventure in the High Atlas Mountains? Have a look at our 1 or 2-day mountainbike experience. With a bike trip, you will discover so much more and you can enjoy a fresh breeze when temperature is rising. 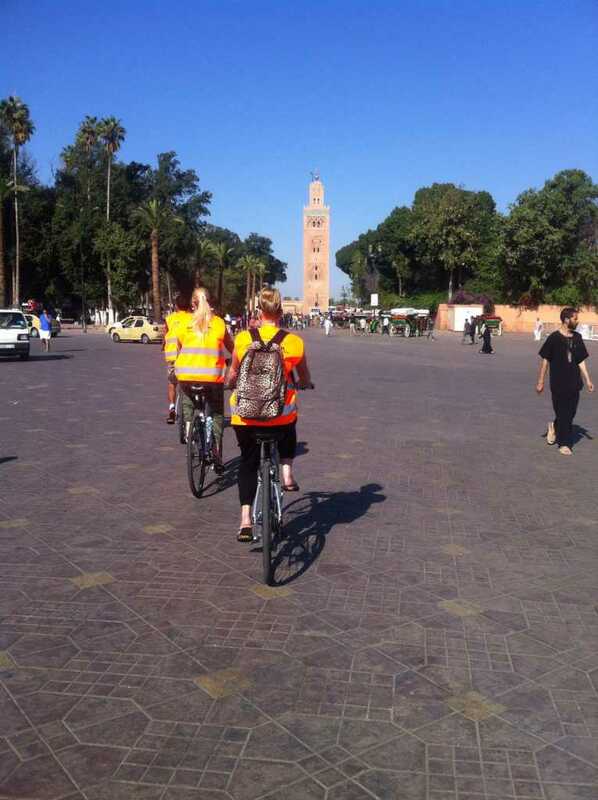 In fact, there hardly is a better way to discover the city of Marrakech than with one of our bike adventures. Some exercise during the day will stimulate your appetite for the delicious Moroccan cuisine of couscous and tajine’s! So bicycle touring is a healthy way to discover the city, and a sustainable way too! Without a doubt it will be one of the best days you will ever spend in Marrakech if you love adventure and fun. 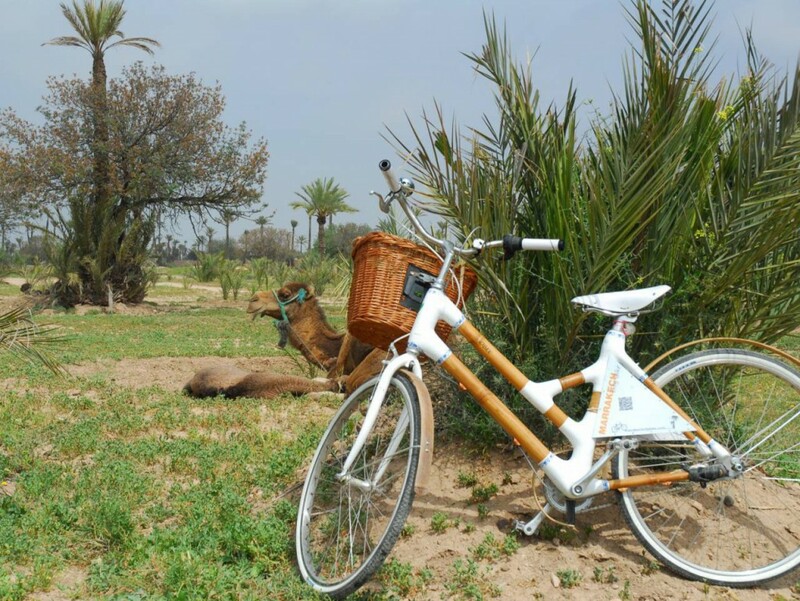 Also if you think you have seen everything of Marrakech, we can tell you again that our bicycle tours go where no tour bus can go. 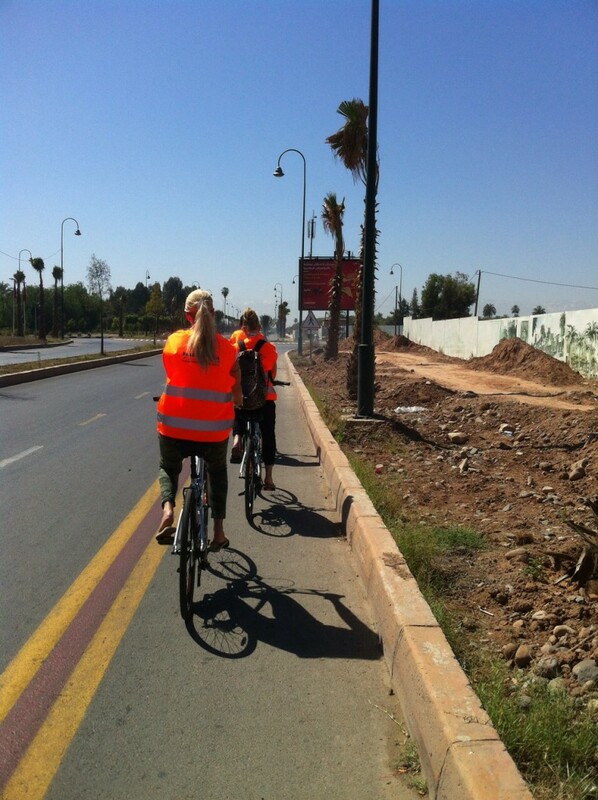 We are not just talking about a bike excursion to see Marrakech; biking in Marrakech will make you feel like one of the locals too. Ride with us and you will meet the city like a real Marrakchi. In fact, there is a great change that you will see parts of the city even the locals do not know. There is enough to experience. We will make several stops; to take pictures and to listen to the fascinating stories of Marrakech from our excellent Dutch, English, French and German speaking guides. We cycle through the city in a easy pace, with time for a cup of mint tea and a nice (picknick) lunch. All our tours start from our Toubkal Adventure office in Gueliz. 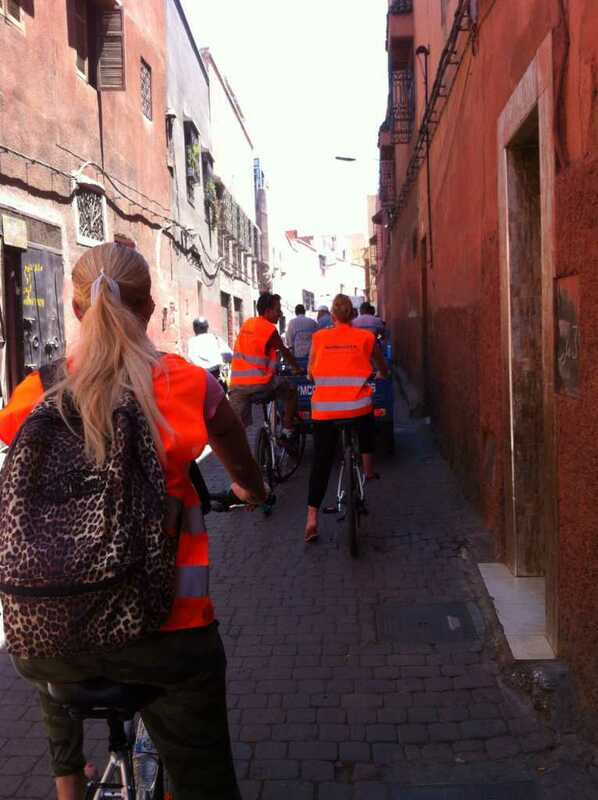 Although the traffic in Marrakech is quite a hustle and bustle we provide safe tours including a clear safety jacket. This will make it easy to join the traffic jams where anticipation is the rule. Our experienced guides will show you the way and take you through the nicest streets. 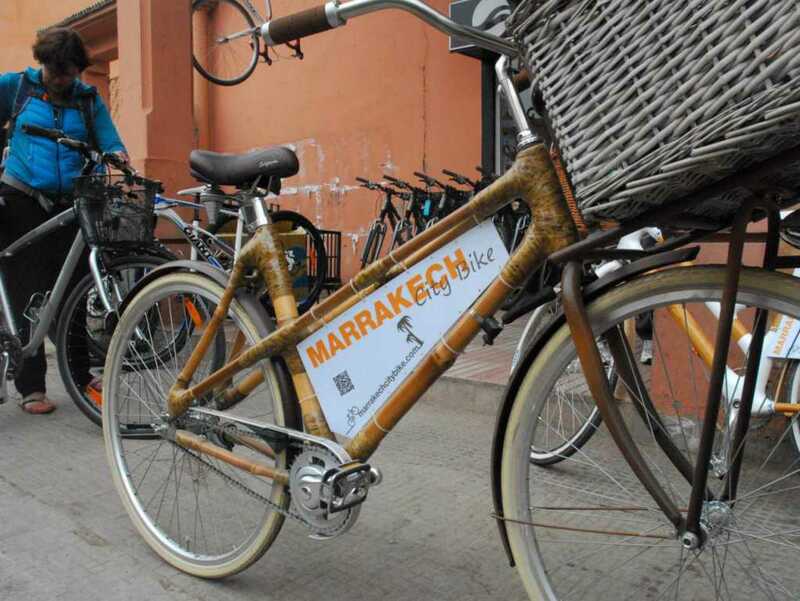 There are even some bicycle lanes in Marrakech. So if you like to ride on a bicycle you are more than welcome to join our tours. 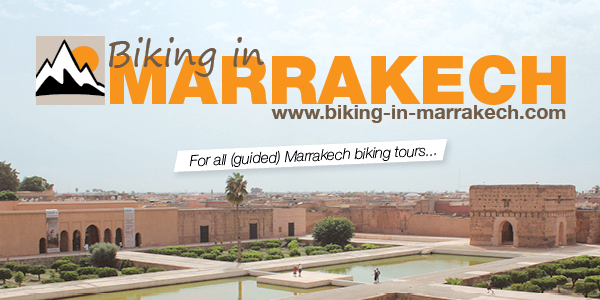 We can guarantee you that a bike trip is the perfect way to discover more in Marrakech. Please sens us an e-mail including your size or use our contact form. Toubkal Adventure: M. +212 (0) 6 73 11 66 65. Our Marrakech office is located in Gueliz, Rue Oum Errabia No 22 (Building Nakhil / 5th floor). You are always welcome for a cup of mint tea.